The RRSP home buyers plan is a great way to beef up your house down payment. When I bought my first house, I had a down payment of $20,000 which was taken from my RRSP. If you are thinking of borrowing from your RRSP to buy a house or condo, here are some rules to know. First-time home buyers in Canada can borrow up to $25,000 of RRSP money tax-free to purchase a home, including shares in a co-op housing corporation. First-time means neither of the spouses or common-law partners have owned a house in the previous four years. Starting the second year following the withdrawal, one-fifteenth of the borrowed amount must be repaid to the RRSP each year or that year’s portion becomes taxable income. One home buyers plan withdrawal restriction is that you can’t withdraw any money from your RRSP if it was contributed within the last 90 days. Strategy – borrow to contribute to RRSP and then get money out. The idea behind this strategy is to make an RRSP loan, contribute the money to your RRSP and then after 90 days, you can withdraw the money for your HBP. This can work very well if you are in a higher tax bracket. This strategy can be done anytime during the year, but if it’s done before the RRSP deadline (March 1st), you can get the refund very quickly and use it to pay down the RRSP loan. The home buyers plan money in your RRSP should not be invested in stocks or even long bonds. Just go as safe as possible, since you need to make sure you have your money when you need it. A high interest savings account is best. You (and partner if applicable) must be first time home buyers which means you haven’t owned a house that was your principal residence in the last 4 years. The rule to be eligible is that you can’t have owned a house that was your principal residence at any time from January 1st of year that is four years before the year of withdrawal and up to 31 days before the date of the withdrawal. For example; if your HBP withdrawal date is Mar 31, 2011, then if you owned such a house at any time from January 1, 2007 to Feb 28, 2011 then you are not eligible for a HBP withdrawal. If there is more than one person buying the house, they are all considered separately for the home buyers program. If one partner is ineligible, the other partner can still be eligible. If both partners are eligible, the maximum withdrawal amount is still $25,000 per person regardless of how many people buy the house. A couple can borrow up to $50,000 from their respective rrsps. You must intend to live in the house purchased with the HBP withdrawal within one year of purchase or completion. There is no minimum time that you have to stay in the house. Note that the CRA website indicates that there are situations where even if you didn’t move into the house, you are ok as long as you “intended” to do so. If you qualify for the HBP and have used it in the past, you must pay off any outstanding HBP amount by January 1 of the year of the withdrawal. Basically all you have to do is fill in form T1036 “Home Buyers Plan (HBP) – Request to withdraw funds from an RRSP”. You give this form (keep a copy for yourself) to the company that looks after your RRSP. They should do the withdrawal on the day they receive the document or the day after – you should get the money within a few business days of giving them the form. Get the money quickly. If they are taking too long (more than one week), get on the phone and find out what the problem is. Make sure the amount you receive is the amount you requested. If the amount is different than you requested, the financial institution might have made a mistake. If the amount received is more than $25,000, you will owe taxes, so get it sorted out. If the amount received is less than requested then you need to know why. It’s very possible that they processed a normal withdrawal and charged with holding tax which would reduce the payment amount. They will fix this, but only if you complain first. You don’t need to make the HBP in one withdrawal. But you have to make them all in the same year as the first withdrawal or in January of the following year. Cancel HBP. If you wish to cancel your HBP withdrawal, see this page for instructions. Of course you can always just pay the money back to your RRSP, but then you won’t be eligible to participate in the HBP for several years. No tax. There will be no withholding tax on your home buyers plan withdrawal. All HBP plan info including payments due, will be included on your notice of assessment, so you don’t have to calculate it yourself. The annual repayment amount is calculated by taking the total amount you borrowed from your RRSP and dividing by 15. That is your annual HBP repayment amount. If you pay more than the minimum, future payments will be the remaining amount owing divided by the number of payment years remaining. 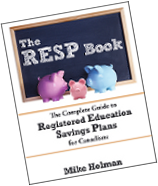 I suggest that if you have unused RRSP room that you consider contributing to your rrsp rather than paying back the HBP loan beyond the minimum payment. Timing. You don’t have to make your first HBP payment until you file your taxes for the tax year two years after the year you did your home buyers plan withdrawal. For example; if you withdraw your HBP in June of 2010, you don’t pay your first payment until the tax year of 2012. You don’t actually file your 2012 taxes until early 2013. What if I miss a repayment to my HBP loan? If you don’t make the minimum payment in full then any unpaid amount will be considered taxable income for that year. It’s considered the same as if you had just withdrawn that amount directly from your rrsp (which is taxable income) instead of borrowing through the HBP. This isn’t a bad strategy in the situation where your income is lower than normal. If you went back to school for a couple of years or became a stay-at-home-parent, then declaring your annual home buyers plan repayment as income, might make sense if your income is low enough. It’s possible that you won’t pay any income tax on that amount. This is what I did to buy my first home this past January. What a great concept. I’m surprised the government is actually helping us out! What happens if I don’t fully repay the total of money I withdrew from my RRSP within the 15 years. Does the principal residence have to be in Canada? I’m planning on retiring soon and buying a place in the US. If I borrow from my RESP to pay for a house and start paying back later, I assume that the repayments won’t be tax deductible. Is that true? I cannot find any information on that topic anywhere. If I have $50000 in my RRSP and my husband has $0, can I withdraw the $50000 from my RRSP account to buy our first home? Can I borrow money from my parents’ RRSP account for my first time home buy ? Is it not benefit to my parents? Canadian citizen (but US resident) purchasing a home in the US within the last 5 years. But, sold house, repatriated to Canada. Am I considered a first time homebuyer?? I cannot find any information specific to this scenario. Once I completed my repayments to CRA for my home buyer plan, where will my RRSP be? Will it be where I have my mortgage? I appreciate your response. Thank you.